"LAKEWOOD 1ST FLOOR CONDO WITH COVERED PARKING CLOSE. FLOOR TO CEILING WINDOWS, 9 FOOT CEILINGS, WHITE INTERIOR, WHITE STONE FIREPLACE, RECENT HARDWOODS, RECENT FURNACE AND WHIRLPOOL HI EFF WASHER AND DRYER AND APPLIANCES IN KITCHEN. DOORS FROM BEDROOM OPEN TO EXTRA LARGE PRIVATE PATIO (PART COVERED). BATH HAS SEPARATE VANITY . WALK TO WHOLE FOODS, TIMES TEN AND STARBUCKS, CLOSE TO WHITE ROCK LAKE AND DOWNTOWN. THIS IS A LIFESTYLE FOR URBAN DWELLERS WHO RUN, CYCLE AND WALK. WILSON HIGH SCHOOL." "True M Streets, Corner of Matilda and Martel. Walking distance to lower Greenville, hub of great entertainment and great restaurants. First floor unit in the heart of everything. Granite countertops, stainless steel appliances, new flooring, under cabinet lighting, small patio with storage area, ideal for pets. 2 bedrooms upstairs with walk-in closets, master bathroom upstairs, and half bath downstairs. Updated baths, assigned parking space." 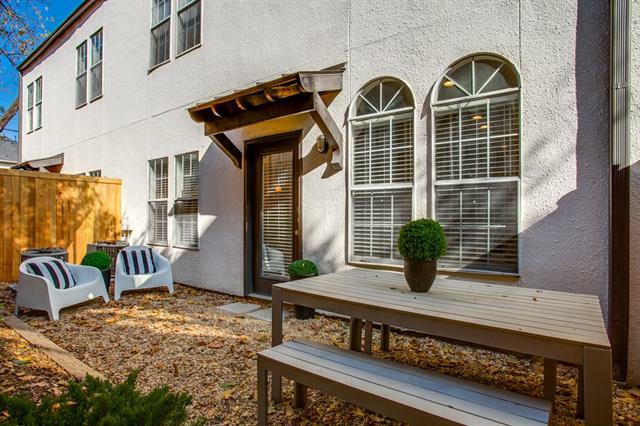 "Adorable 1 bedroom Condo in Lakewood, one of the most walkable neighborhoods in the city. Walk to Whole Foods or Starbucks for Saturday morning coffee. Stroll to Times Ten Cellars and numerous restaurants and shops in the evenings. Inside the light and bright corner unit condo are beautiful hardwood floors, 9' ceilings, spacious living and dining areas, newly installed Anderson bay windows that fill the space with light, and a custom built-in entertainment center in the living room. 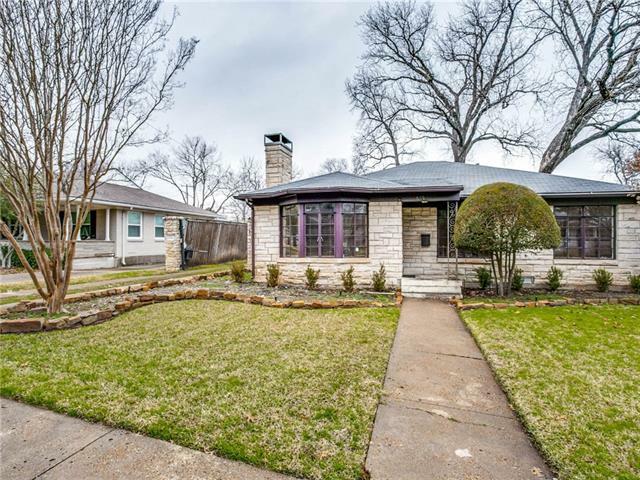 The large "
"Renovated M-Streets gem just steps from Glencoe Park and a stone's throw from Lower Greenville and all Dallas has to offer. Whether you want to cozy up next the the fireplace or sip a glass of wine on the balcony - this condo has exactly what you need. Both the master and downstairs bathrooms have been tastefully updated with modern finishes and the light oak floors bring warmth to the space. Natural light beams in from the balcony windows into the open concept living and dining space. Come f"
"Extraordinary condo and location! Well maintained unit small Lakewood complex features open updated kitchen with Corian counter top, dining and living areas downstairs with wood burning fireplace, great patio with tile and ceiling fan! Elegant stairs lead to master suite with an abundance of windows and updated bath with deep tub and Corian counter. Loft Study with closet could be 2nd living area or 2nd bedroom. Laminate and tile floors throughout." "WHAT A GEM! 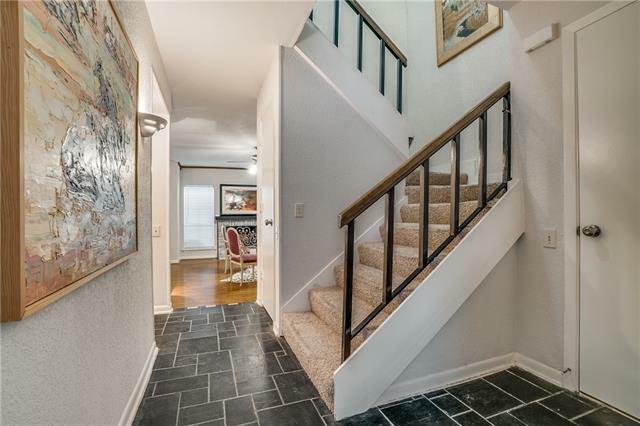 GREAT VALUE in highly sought after Monticello Crossroads, Gated community in the M streets ideally located near SMU, Mockingbird Station, 75 (Central Expwy) & Greenville Ave - across from Glencoe Park with sports fields, tennis courts, playground, and jogging path. Covered parking and community pool - 2nd living area on 2nd floor, wood burning fireplace, balcony with enclosed storage. Buyer to verify all measurements & schools." 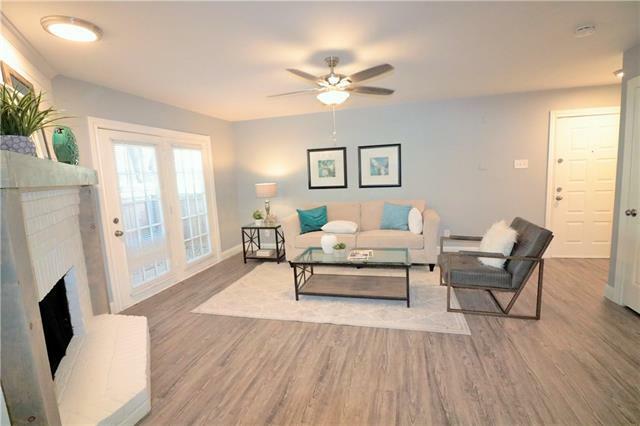 "Located in gated Monticello Crossroads, this well-maintained 1 bed, 1.1 bath condo boasts a bonus area, all new interior paint, a completely updated master bath, including new tile floors, new shower, new light fixture, granite countertops. Newly painted garage, new tiled fireplace, new entryway flooring, new stainless steel appliances, new blinds throughout, lots of natural light. Attached garage has bonus storage space, as well as extra parking near garage. Unit has balcony off of kitchen pe"
"Premier location in the heart of Lakewood! Imagine yourself waking up on a Saturday morning with a private balcony to enjoy your first cup of coffee. The first-floor features an open concept living-dining, Fireplace, wood floors, updated kitchen, granite counter tops and powder room fabulous for entertaining. Upstairs includes large master with walk-in closet, full bath, and a cool loft space with a closet. Loft could act as a second living-study or second bedroom. 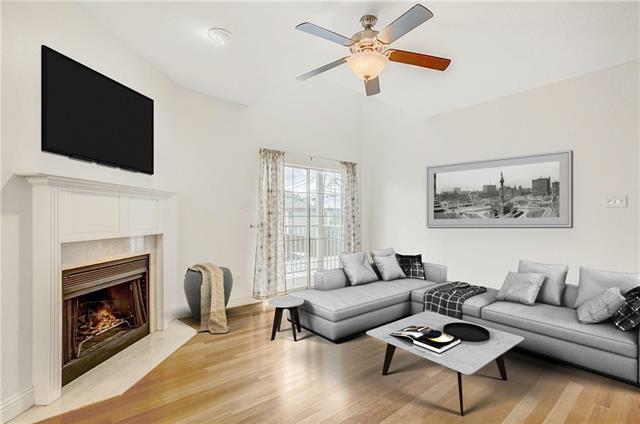 Minutes from great shopping, r"
"Totally updated M Streets two-level end unit condo in gated Ashton South! 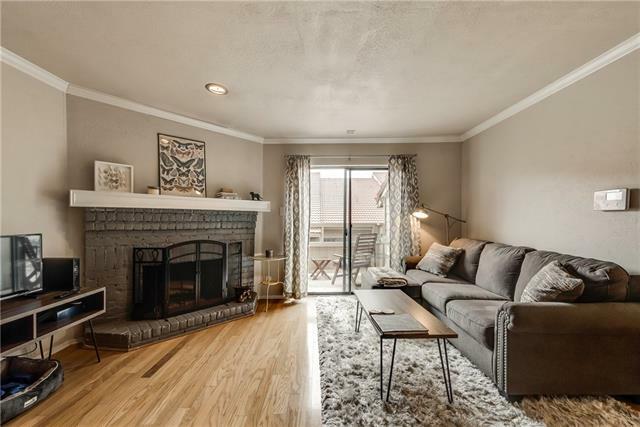 Lots of natural light in this 2 bedroom 1.5 bath with 2 fireplaces AND reserved parking garage with plenty of visitor spaces. Unit is steps from the pool with a beautiful large patio and lush courtyard directly out the sliding door..perfect for entertaining and morning coffee! A short walk to Glencoe Park, Mockingbird Station, Greenville Ave, SMU! Freshly painted in modern grey and white, granite kitchen, updated walk-in s"
"LOCATION LOCATION LOCATION! Beautiful, move-in ready CORNER UNIT with views of Glencoe Park and a garage underneath the condo! Recently replaced ROOF and NEW water heater in unit! One of the BEST features of this condo is the flex space on the 2nd floor! 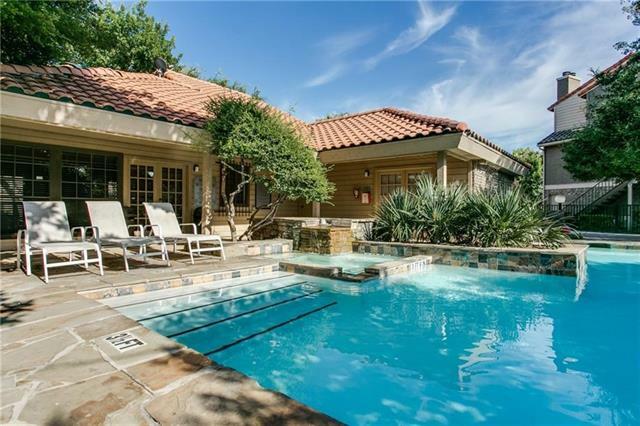 Amenities include community pool & clubhouse, close to downtown, Katy Trail, & Uptown Dallas. Renovated half bath & master bath (WALK-IN SHOWER! ), renovated fireplace, renovated kitchen with granite countertops and newer appliances. Laminate "
"Stunning M Streets CONDO with EXTENSIVE renovation & upgrades, located in the gated Monticello Crossroads. 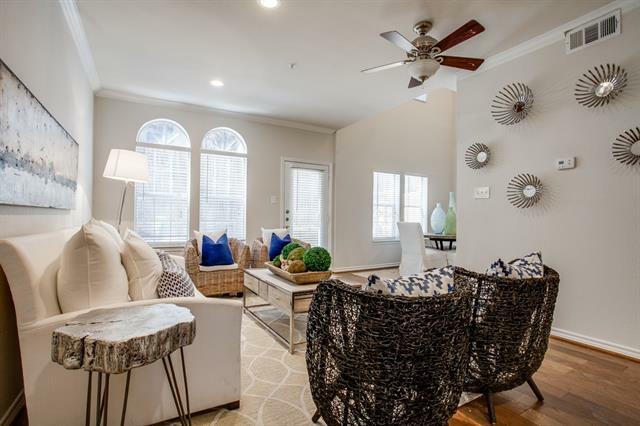 The community has a swimming pool & is adjacent to Glencoe Park, easily accessible to I75, Katy Trail, Mockingbird Ped Bridge, White Rock Trail, Mockingbird Station, SMU, West Village, Knox-Henderson, shops & restaurants. Open concept kitchen & living room with stained concrete floors. Kitchen has custom 40 inch oak cabinets, SS appliances, wine fridge, granite countertops, glass tile backs"
"Completely remodeled throughout. Vaulted ceiling. Designer Porcelain flooring in all living and dining areas including laundry room. Baths have designer tiles and granite vanities. Kitchen has granite counters and appliances replaced 6 years ago. 6 year old roof. Private patio and yard. One car attached garage including additional storage. 18 inches of blown-in insulation throughout attic. Newer Payne furnace and custom ordered Hunter Douglas roller shades throughout(1500.00). Recent new exteri"
"BACK ON THE MARKET!! Fabulous 2 Bedroom, 2.5 Bath Condo in Monticello Crossroads, Totally updated ground floor condo with a private outdoor space. 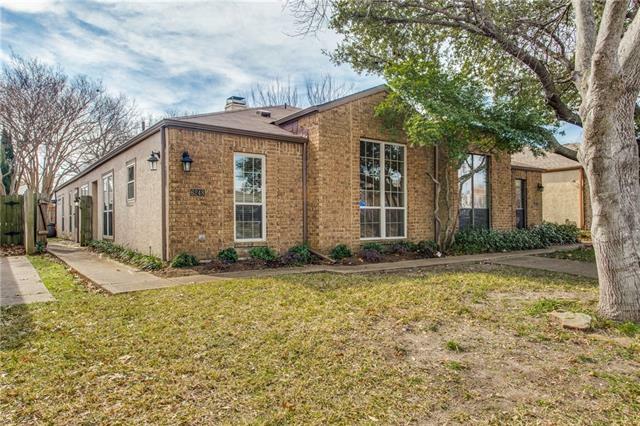 Extremely near Glencoe Park and Katy Trail, close to SMU, light rail, Greenville Avenue. Perfectly located for shopping and entertainment. 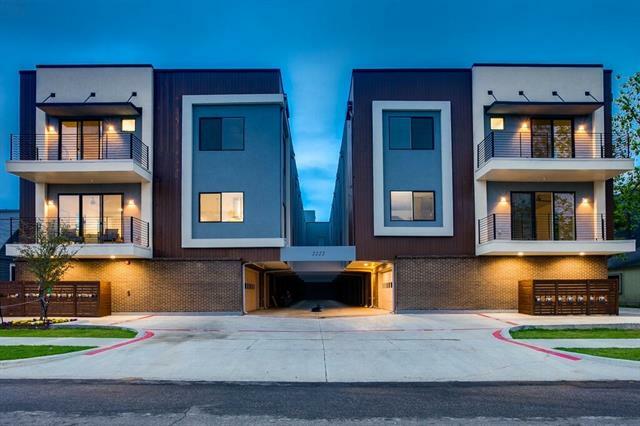 With tons of natural light, designer finishes and fixtures and covered parking, this private end unit is located in the quiet, southeast part away from Central Expressway. It boasts new paint, new floors, new til"
"Welcome home to historic Swiss Avenue! 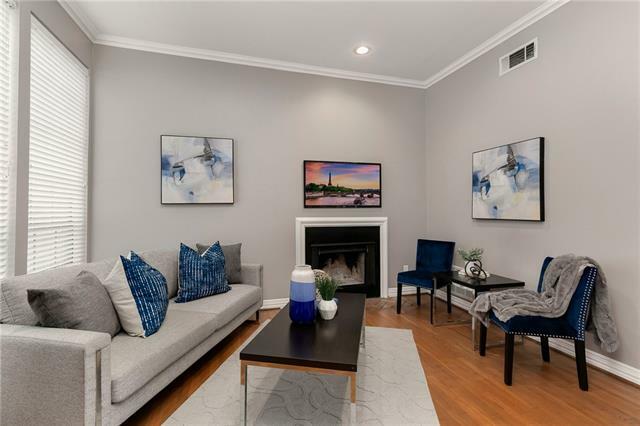 Located in the heart of Lakewood, this brownstone-style condominium features 10-foot ceilings, gorgeous hardwood flooring, crown molding, custom built-ins, an attached two-car garage and private balcony off the dining room. The second floor living room offers abundant natural light, a cozy wood burning fireplace and dry bar. The kitchen is well equipped with granite countertops, stainless steel appliances and a tumbled stone backsplash. 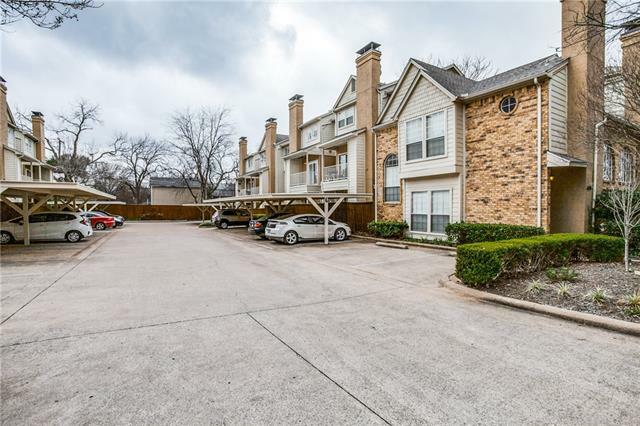 On the third floor, "
"Excellent location just minutes away from White Rock lake, Lower Greenville Ave. and Mockingbird Station. Updated kitchen features custom cabinets with granite counter tops and stainless steel appliances. Spacious living area has vaulted ceilings, built in cabinets and a cozy fireplace. Both bedrooms feature walk-in closets with an additional cedar closet in the master bedroom. Fenced-in back yard for entertaining. Freshly painted throughout interior of the home with a new roof installed August "
"This modern development is in a PRIME Dallas location! Walking distance to many shops and restaurants along Henderson Avenue. Gorgeous finish out with open floor plans and oversized windows. Clean cabinetry and custom tile through out. Homes are fully completed for move in. 1 & 2 bedroom floor plans starting from $299,000." 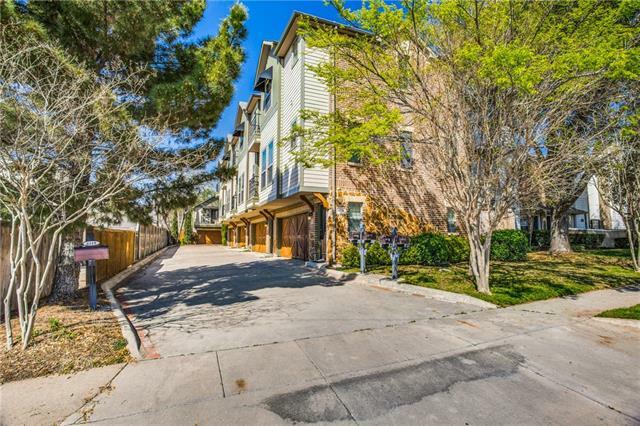 "Beautifully updated townhome WITH NO HOA!!! Prime location, walking distance to Mockingbird Elementary. 3 bedrooms each with walk-in closets. Ample closet & storage space throughout. Large master bedroom with seating area & lots of natural light throughout home. Sunroom was previously used as an art studio. 2-car attached garage, full size washer dryer area, & large sunroom. Don't miss out on this amazing opportunity close to restaurants, shopping, SMU, & much more!" "Creme de la creme. Quite possibly the nicest finished 1 BR in the whole city. This is a great opportunity to live luxuriously at the Highland Dallas. This loft style condo boasts a no expense spared custom decorator finish like you have never seen before. Hand painted murals custom hidden kitchen, movie screen that comes down from the ceiling, the only unit with a fireplace in the building and lots of light from the floor to ceiling windows." 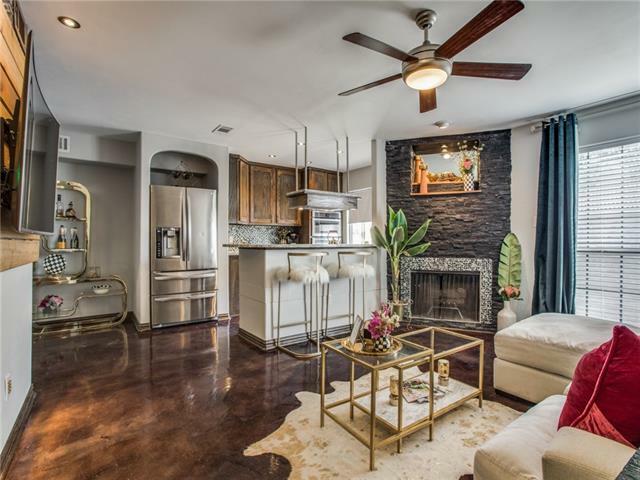 "This one of a kind two story, gated community is in a prime East Dallas location! All units have fenced patios or large fenced yards! Recently renovated these charming homes are MOVE IN READY! This home features a large dining, kitchen and living space with patio on first floor. Second living space and two bedrooms and two full baths on second floor with additional outdoor patio. These darling two story homes feature a wonderful floor plan with tons of natural light enveloping the space. Wonde"
"Step inside and you will fall in love*Jewel box in prime location, with walking distance to restaurants, shopping & nightlife, plus an easy commute to downtown*Hardwood floors*Granite countertops, breakfast bar & stainless appliances*Custom cabinets & high end finishes*Dual car garage & utility on lower level, with precious deck for outdoor cookouts*Master, luxury bath & living area with WBFP are on second level with balcony overlooking street scene*Guest bedroom with ensuite bath & additional b"
"Value is in the land. House sold As-Is. Owner to do no repairs. 1950 Austin Stone house could be renovated or torn down for new home build." 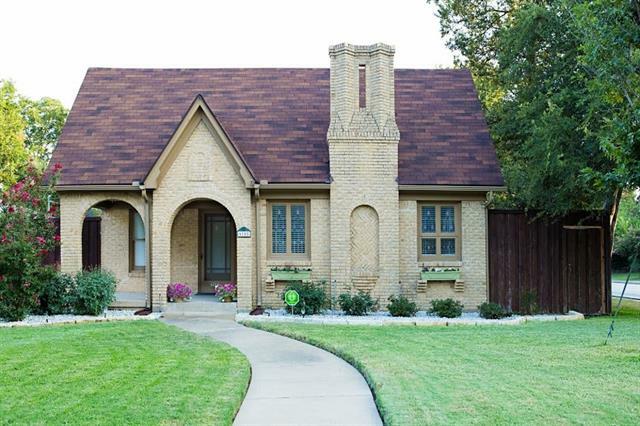 "Charming historical Tudor home with tons of character on corner lot! Immaculate woodfloors, detailed crown molding and original stained glass windows. Granite tops and Italian tile in kitchen. Spacious and open with 2 living areas 3rd bedroom can used as a study. Prime location near all the restaurants off Greenville Ave and minutes from Downtown!"